Does Vaping Cause Cancer ? You Should Know ! Online Pharmacy Checker cancer remedies Does Vaping Cause Cancer ? You Should Know ! 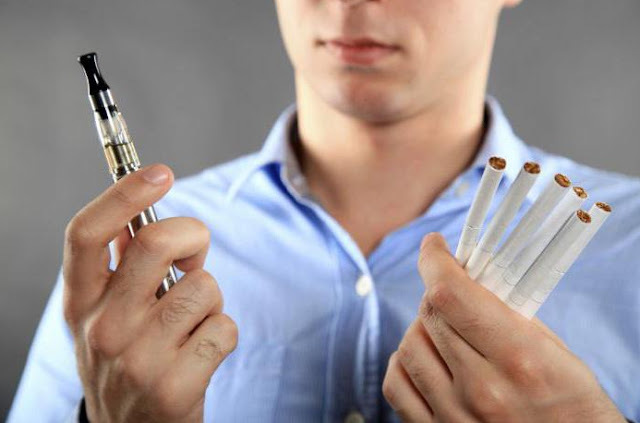 Does vaping cause cancer, The emergence of e-cigarettes (vape) on the market looks like the best thing for the smoker who is struggling desperately to quit smoking, and perhaps also the social smokers that the appointment of the curious to try out the latest trends. Arguably, e-cigarettes provide all the enjoyment of smoking tobacco with virtually zero health risks, because the truth is, You only inhale water vapor and traces of nicotine. To examine the use of e-cigarettes on lung health, the team of researchers from the Hellenic Cancer Society, Athens, quoted by the Daily Mail, researching 54 smoking tobacco and vape aged 18-31 years. Of these, 27 suffered from mild asthma. Researchers measured their lung function after each group of smoking tobacco cigarette and inhale the vape. Researchers also test whether their lungs show symptoms of inflammation, by measuring how much nitric oxide (NO) exhaled. NO is a gas molecule that is produced by cells in the respiratory tract as a response to inflammation. The researchers found users of e-cigarettes showed worse results in both tests than people who do not use the vape. And the findings were more severe in patients with asthma. "Electronic cigarettes immediately impairs the function of the lungs, which lasts for less than 30 minutes after smoking," said Dr. Andreas Lappas, of the Hellenic Cancer Society, Athens, author of the study. Lappas, these results indicate that as occurs with smoking tobacco, vaping has short-term effects are more dangerous in patients with asthma compared with smokers who are healthy. The effect of inflammation in the lung can lead to pulmonary disease from time to time. Commenting on the study, British lung Foundation acknowledge that vaping can harm the lungs. Another study found that a sample of white blood cells that are exposed to vapor smoking e-cigarettes release a compound the cause of the inflammation, shows that inhaling the vapor vape may have the same effect in the body. Nicotine is not the main perpetrator behind the threat of the dangers of smoking, but the smoke produced from the cigarette itself. Ignite lighters on the cigarette causes the tobacco leaves and paper cellulose wrapping becomes burnt. This burning then release the herb toxins free radicals that not only cause cancer, but also heart disease and a variety of other problems. Meanwhile, e-cigarettes use heat power from a battery to vaporize a mixture of nicotine, glycerol or propylene glycol, and flavorings (depending on the product). Heating occurs at a temperature much lower than combustion in tobacco cigarettes, so it seems plausible that vaping will not cause the release of all the toxins the same with cigarettes. But advertising claims vape that You just inhale water vapor and traces of nicotine is not entirely true, according to Stanton Glantz, professor of medicine and director of the Center for Tobacco Control Research and Education at the University of California, reported by The Week. Vapor smoking e-cigarettes may contain traces of cancer-causing chemicals, such as formaldehyde, aldehydes, acrolein, diethylene glycol, or toxic metals such as nickel. The higher the battery voltage, the higher the temperature in the coil in the e-cigarette — and the higher the heat generated means the amount of a chemical that is released the more. Emissions also vary based on how long e-cigarettes have been used. The longer it is used, the higher the level of chemicals it released, including formaldehyde, acetaldehyde, and acrolein — all of which are carcinogens or agents pengiritasi breathing. This is because the chemical residues accumulate in or near the heating coils. While this residue heats up, vape the release of even more chemicals. The combination of these chemicals can trigger cell damage which can lead to cancer, say researchers from the Veterans Affairs San Diego Healthcare System. Researchers use the technique of fogging from the steam vape directly on the sample of epithelial cells healthy (lining the organs, glands, and cavities throughout the body — including the mouth and lungs) in a petri dish. They found toxic chemicals is detrimental to the cells of the body in a way that can trigger the development of tumors even if vape the nicotine free. Based on these studies, the cells of the body that are affected are more likely to direct programmatic experience the cell injury (necrosis) or cell death (apoptosis). The cells that are affected smoking, in particular, shows signs of rupture of the chain of the double helix of DNA. When one or both of the chains broke and the process of cell repair do not work correctly, this can lead to cancer. The scientific evidence behind e-cigarettes is still very limited and not convincing. E-cigarettes are also not regulated by the American FDA, that basically allows manufacturers e-cigarette to operate without a lot of supervision over the contents of nicotine and other chemical components in the liquid e-cigarette their. The evidence available to date shows e-cigarettes produce toxins at very low levels compared to tobacco cigarettes so health experts argue the risks of vaping tend to be low and certainly far lower compared with tobacco. On the other hand, chronic diseases such as cancer, lung diseases, and heart disease it took several years to evolve — the use of vape are rife only recently so not long enough to be able to develop the disease. Also, most users of e-cigarettes are smokers or ex-smokers, so it would be hard to parse whether smoking or vaping, which be the actual cause of whatever disease may develop. A variety of research studying the effects of vapor smoking e-cigarettes to the cultured cells and laboratory animals, but no one has yet accurately tell us about what could actually happen due to the use of e-cigarettes in the real world on humans in the long term.